Emma, Frances, Jack & Dirk, who are cousins, with their grandfather J.E.K. Cutts. Emma & Frances Rutledge are daughters of Aunt Peg (Winnifred), Molly's sister. 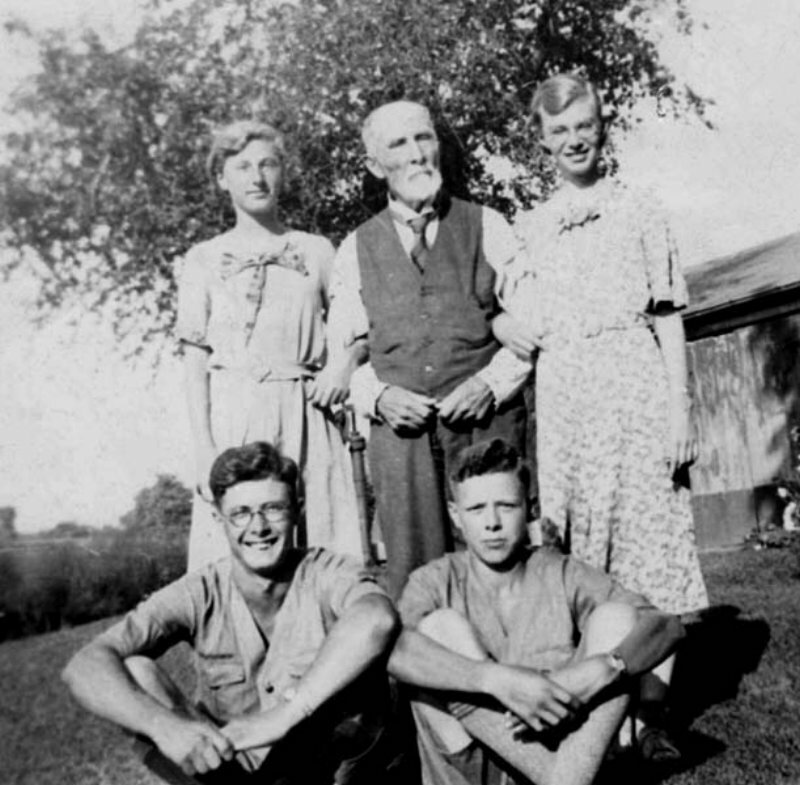 Molly & Peg came to Canada together with their parents in 1912.